The Holy Mountain singer said he's only worried about what his wife, kids and cat think of him. The 50-year-old rocker has admitted that whilst he isn’t an inherently “private person”, he doesn’t actively share information with the public. “I don’t have social media accounts," mused the Ballad Of The Mighty I singer in a Facebook Live chat with Noisey. "I don’t get a live feed of what people are saying. My daughter is usually my … you know, when she comes in from school she’ll say ‘Oh god look at this’. The rocker - who has 17-year-old daughter Anaïs with his ex-wife Meg Matthews, and sons Donovan, 10, and Sonny, seven, with his wife Sara McDonald - insists he isn’t “bothered” by anyone’s opinion of him other than his family. Noel also doesn’t like the idea of having “direct contact” with his fans on social media, because he doesn’t think it’s “healthy”. 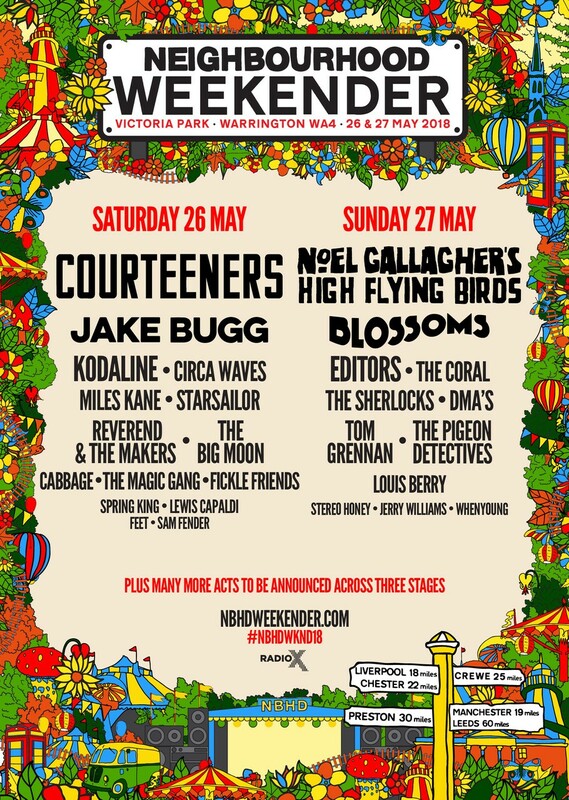 Meanwhile, Noel Gallagher has been confirmed alongside Courteeners to headline Neighbourhood Weekender 2018. The brand new two day festival will take place in the heart of the North West at Warrington’s Victoria Park on the Bank Holiday weekend of 26 and 27 May 2018. Tickets go on sale at 9.30am on Friday 17 November via www.nbhdweekender.com, www.gigsandtours.com and www.ticketmaster.co.uk. An exclusive pre-sale for Warrington residents (that’s people with a WA postcode) go on sale at 9.30am on Thursday 16 November via this link.